I’m the featured author over at Zombie Authors Blog! Thanks to Jule Romans for giving me the heads up on this nice bit of news. Permuted Press Kindle E-Book Sale! Well it is Friday the 13th and while many folks consider that bad luck, I think it is a great day…and the start of a great weekend. Especially for fans of great apocalyptic fiction. Permuted Press, my publisher, has decided that this would be a great weekend to promote the heck out of virtually every one of the books they offer on Kindle by having a sale that runs through Sunday. So go on over to Amazon to check things out. Just click on the picture below and you’ll be sent to the list of books for sale, including all three books in my trilogy: Comes The Dark, Into The Dark, and Beyond The Dark. Plenty of other fantastic books can be found on sale, including plenty of ones that I’ve reviewed here. So here is your chance to pick them up for either 99 cents or $2.99 when they’re regularly around $7.99. So check it out, and as they say over at Permuted, Enjoy the Apocalypse! 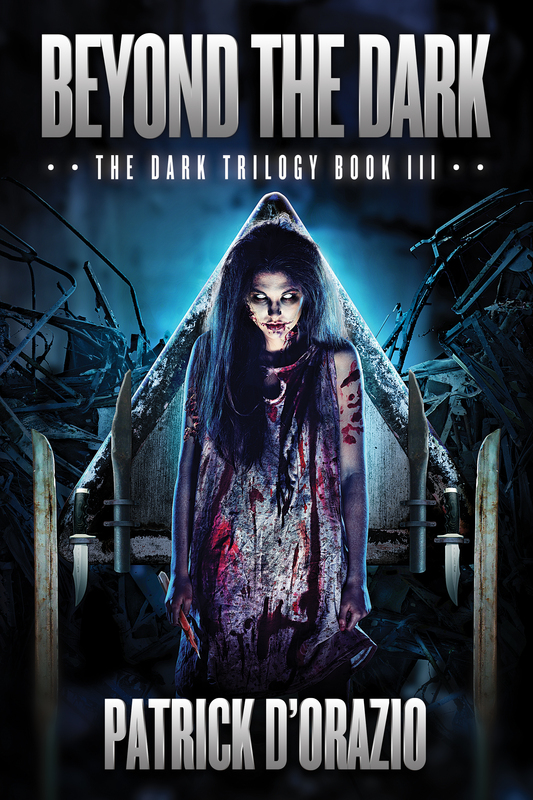 Beyond The Dark is available in all formats! Permuted Press has completed the release process for Beyond The Dark with paper, ebook, and audio versions all now available. This finishes off the new version of the trilogy, and as I mentioned when the ebook version was released, this version of Beyond The Dark has the Dark Stories that were included in the original ebook trilogy release, plus some new additions, including a short story originally seen in “Eyewitness: Zombie”, an anthology produced by May December Publications. This is a tale of a National Guardsman told in first person which takes place in the early days of battle to fight the undead plague. There is also a brief appearance by two of the characters that appear in the trilogy toward the end of the story and hints at their future plans. A brand new Dark story makes its debut in this novel. Lydia, one of the characters introduced in Into The Dark was one of the few key secondary characters who didn’t get the flashback treatment. One of the reviewers of the original Dark Stories was disappointed she didn’t get the same treatment as everyone else did. I agreed, and since I always knew what Lydia’s history, I was able to craft her story for the release of this book in short order. I have a great fondness of Lydia and I hope that you enjoy the tale of her first exposure to having her world turned upside down by the undead plague. When people ask me what my favorite book of the trilogy is, its sort of like being asked to to choose between your children. I sort of feel awkward answering that question. But, since I have always thought of the trilogy as one saga, I do feel that Beyond The Dark does comprise the parts of the tale that are the most compelling, the ones that wrung the most emotions out of me in writing it. It is also the book that gets the highest praise-a lot of ‘he saved the best for last’. There is more stories to be told in this world and I plan on revisiting it, but the Dark Trilogy stands on its own, and Beyond The Dark is my favorite part of the trilogy. There, I said it. I still love Comes The Dark and Into The Dark, but this is the piece of the puzzle I’m most proud of…and I hope you enjoy it. Just click on the cover and you’ll be taken to a page that lets you choose which version of the book you want. Thanks! Permuted released “Into The Dark” in ebook format! Things move quickly around here. It wasn’t too long ago that I was touting the re-release of Comes The Dark from Permuted Press. 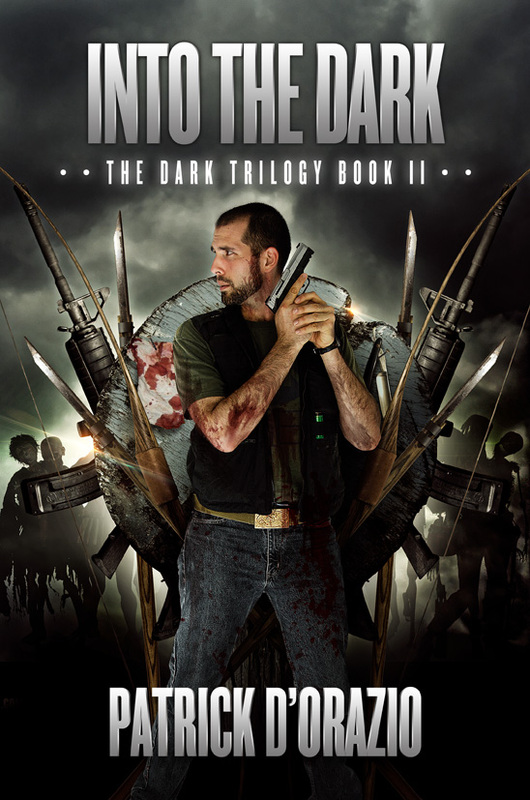 Suddenly, it’s time for the release of the second book, Into The Dark, in ebook format! As with the first book, the Dark Stories I originally created to be a part of the books are back in each individual release, added to the end of the main story. So the reader has the opportunity to delve deeper into the lives of the secondary characters introduced in each book in a short story format. Check it out…and if you don’t mind, leave a review on Amazon, Goodreads, or at Barnes and Noble if you have the time. Thanks! Six weeks ago, the mysterious virus came out of nowhere and engulfed the world. Lost and alone, Jeff’s only option is to destroy as many of the monsters as he can. But when he discovers Megan, George, and Jason, three other survivors not interested in giving up just yet, he reluctantly accepts that there might still be a reason to fight and live to see another day. Traveling through the blasted landscape of their new fallen world, the quartet discovers that the living dead aren’t the only danger with which they must cope. Even other survivors who promise safety and security from the hordes of ghouls roaming the wastelands will test loyalties and their faith in humankind. Just a quick post for all those folks wondering when my trilogy will be re-released by Permuted Press. It is going to happen faster than expected, which is great. While these dates are tentative, they should give you a good idea of when things will come to pass. I was surprised at how rapid fire the trilogy will be coming out. Again, each of these versions of the books will be expanded well beyond the original versions, with quite a few additional stories included within each book. More details to come as I have them on other covers, editing updates, specific release dates, etc.